Westford, MA. January 21, 2019. 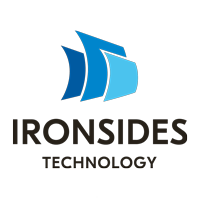 – Ironsides Technology, a leading provider of automated production tracking software for the printing, mailing, fulfillment, and packaging industries, announced it had a strong year with 33 percent growth driven by the high demand for automated production technology in the offset and inkjet printing markets. To meet the increased demand and ensure continued customer success, the company has expanded its sales and product team with the addition of two Xerox industry veterans, Rob Coate and James Hansen.